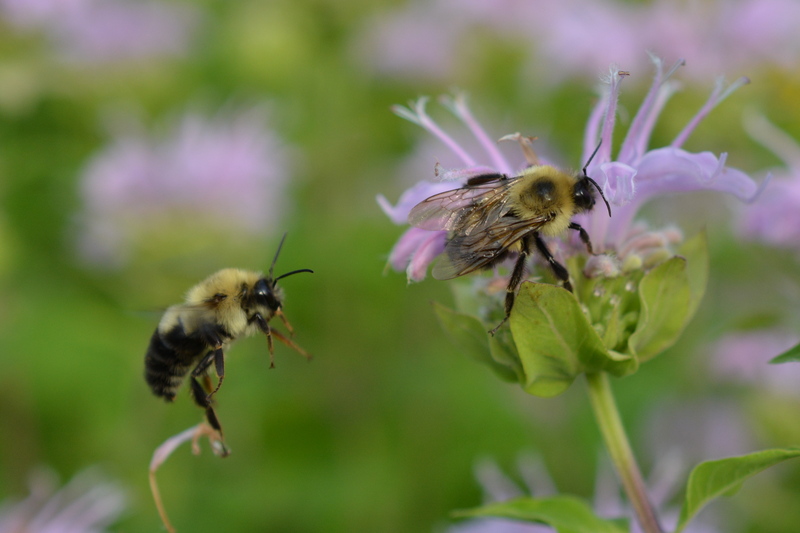 Wedged between Manchester Road and a busy intersection on Route 55 and Burnett Boulevard in the Town of Poughkeepsie lies a hidden island of wildflowers and a thriving population of pollinators. 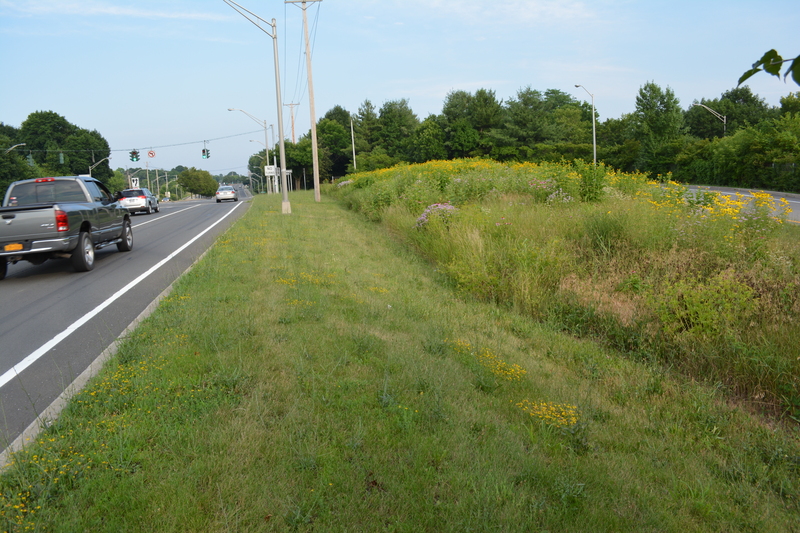 A sign marks the spot as “Project Wildflower”, NYSDOT, possibly alerting roadside mowers that this is an area not to be mowed. What an ingenious idea! To bad there are not more of these roadside gems filled with perennial blooming flowers that not only makes for beautiful scenery but also serves as excellent pollinator habitat. 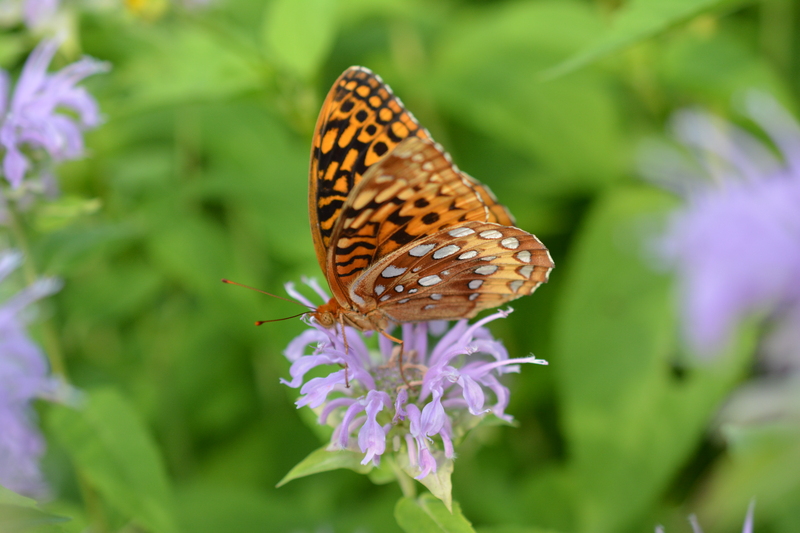 The area was definitely well planned and is populated with two varieties of milkweed, black eyed susans, wild sunflower, monarda (bee balm), coneflower and many other plants. 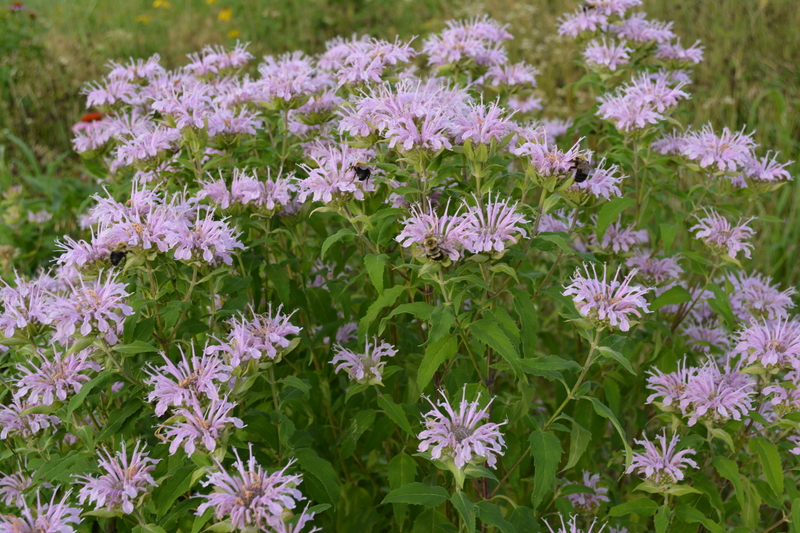 The real wonder is within the wildflower habitat where a diverse group of pollinators is busily visiting the flowers. I was truly amazed at the hidden beauty in the shadows of the highway. 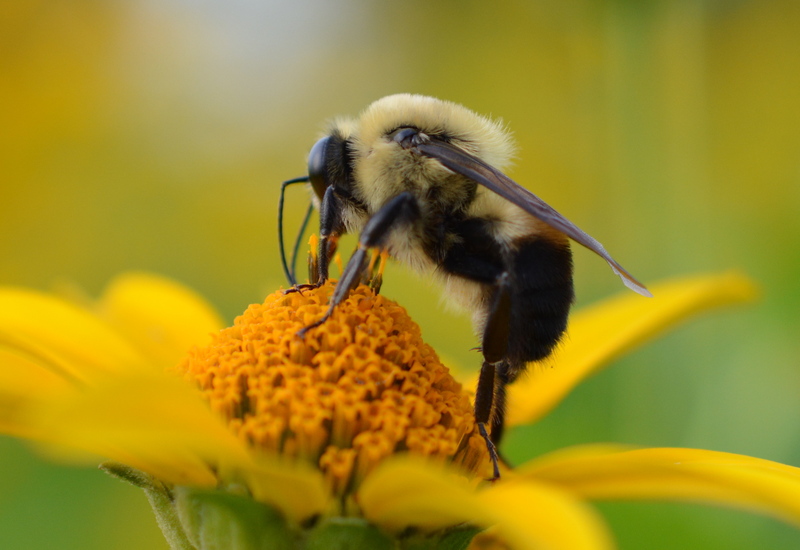 While photographing I discovered four types of bumblebees including the common eastern bumble bee, the two-spotted bumblebee, the brown belted bumblebee and the confusing bumblebee. A variety of smaller bees, much less noticeable among the frenzy of bumblebees included varieties of sweat bees and leaf cutter bees. 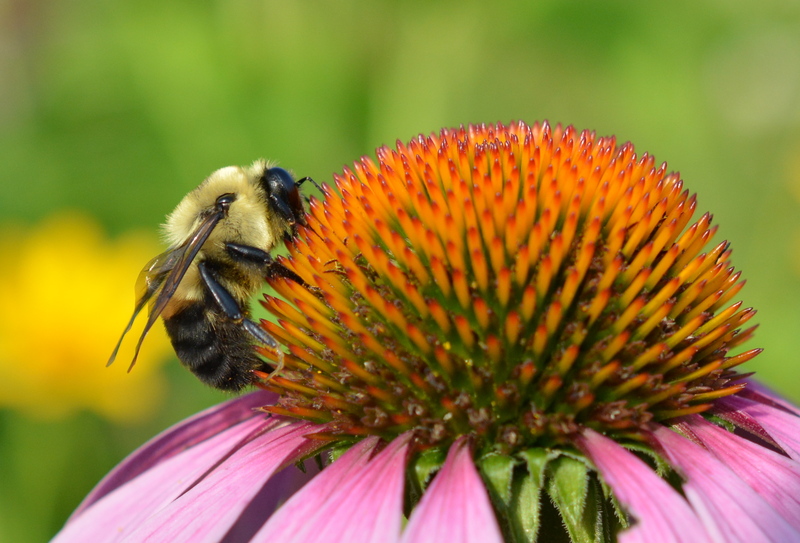 In addition, to the bees other pollinators were active including the fritillary butterfly, hummingbird moth and a few wasps. With such beauty and wonder in a roadside flower garden why aren’t there more of these scattered among our cities, towns and highways? Instead of mowing our highway medians these wild flower meadows or “beescapes” should become standard practice instead of just mowing down everything that grows. It is true that our roadsides are mowed to keep trees and brush from encroaching on our travel corridors but to maintain these “perennial flowering meadows” they would need to still be managed and mowed, albeit later in the season after the plants have gone to seed or in spring before the new vegetation grows. Of course, when we imagine these idealistic goals, these things can be done as a grassroot effort or be done as part of public policy. Now that there is much attention on pollinators in the recent Farm Bill, I’m sure projects such as this one will grow in popularity. 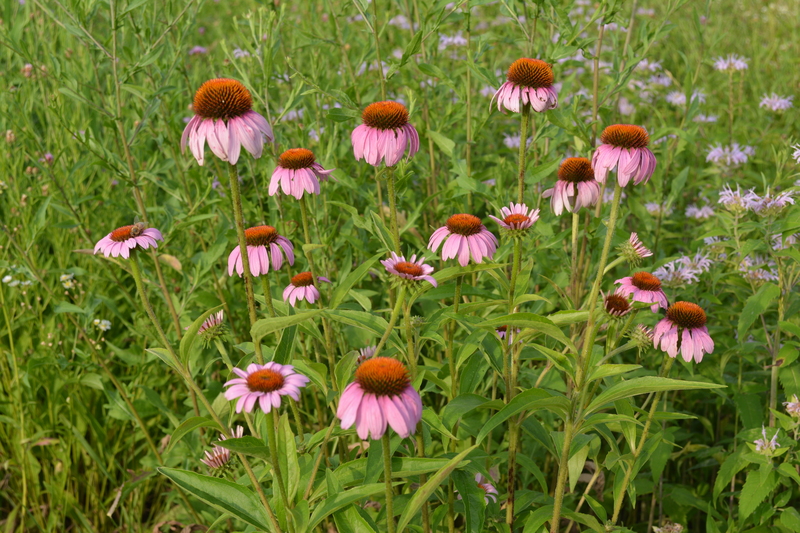 A quick google search shows that many transportation departments around the country do plant wildflowers meadows in highway medians. In the case of this one flowering habitat in Poughkeepsie, New York there is proof they really do have a positive impact, both aesthetically and biologically. 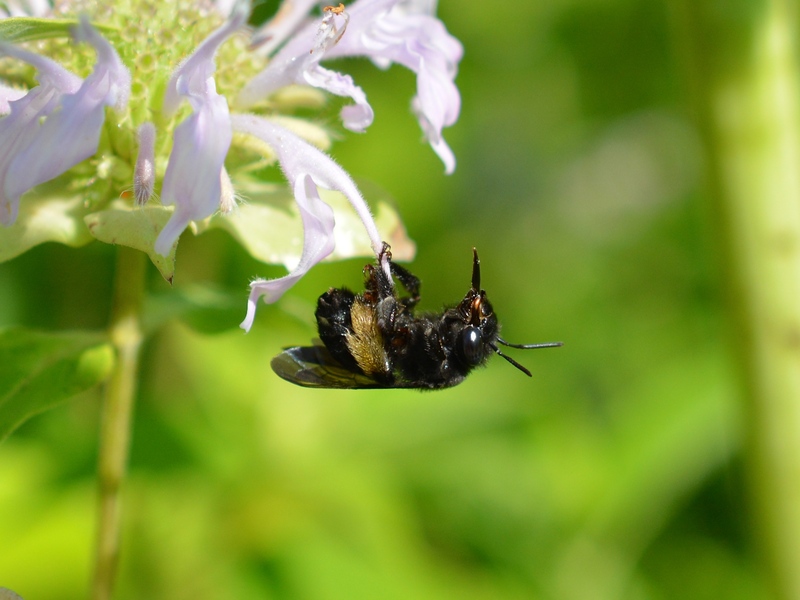 The bees and other pollinators based on their level of activity are very happy indeed!